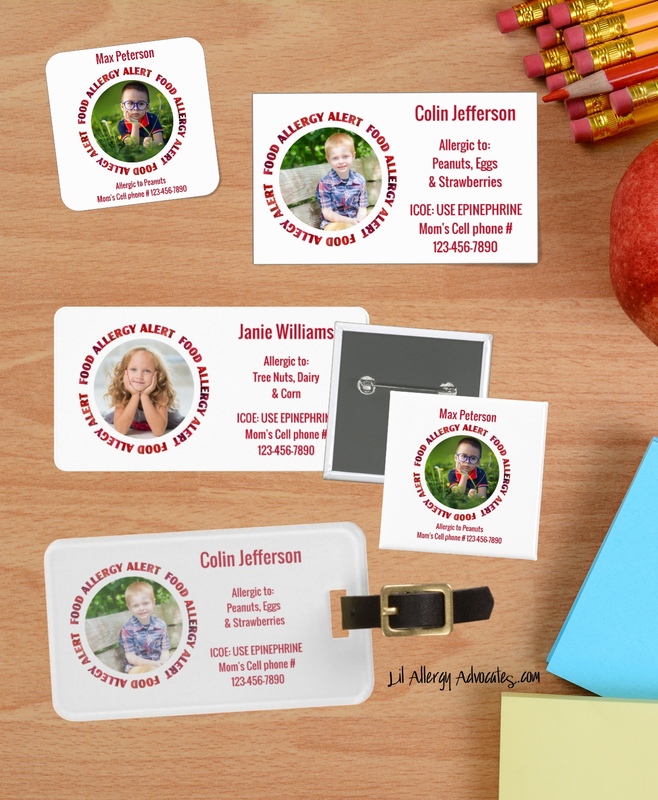 Customize these stickers, labels, business cards, pin back buttons and luggage style tags with your child’s photo, specific allergies, and contact information. 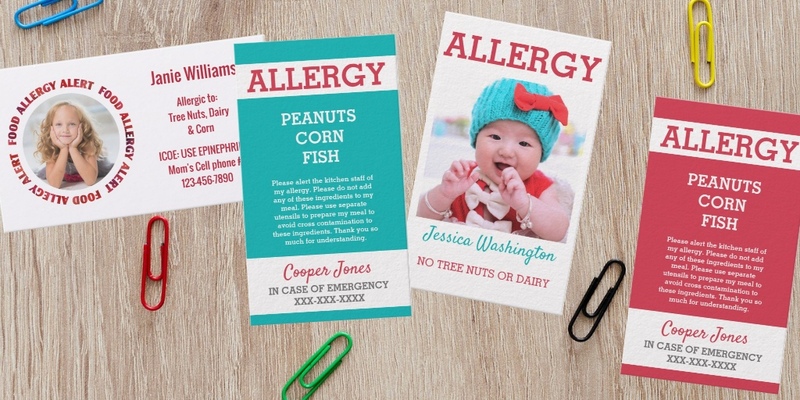 Use a custom photo food allergy alert to help caregivers remember your child’s medical information. Personalize with your child’s information. All text is editable so you can choose to add contact information, list specific allergies or add other information. Upload your photo to appear in the “food allergy alert” circle. To rearrange the photo click “customize” for further editing options. 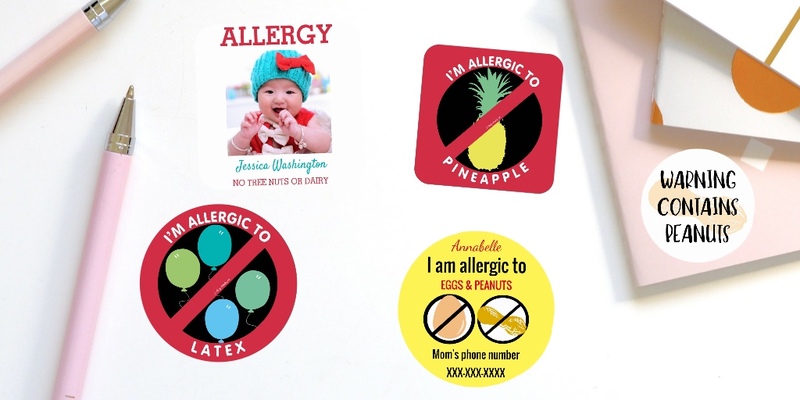 Shop for allergy alert & awareness products in Lil Allergy Advocates online store. Choose from basic allergy alerts with bold ‘no nuts’ ‘no dairy’ or ‘no egg’ etc. symbols to patterns of robots, superheroes, bumblebees, ladybugs, sharks, and more. We offer many products including apparel, stickers, buttons, key chains, lunch boxes, plates, water bottles, medical tags, and bags. All items can be personalized with your child’s name, allergens, or information about where their epinephrine or other medication is located. 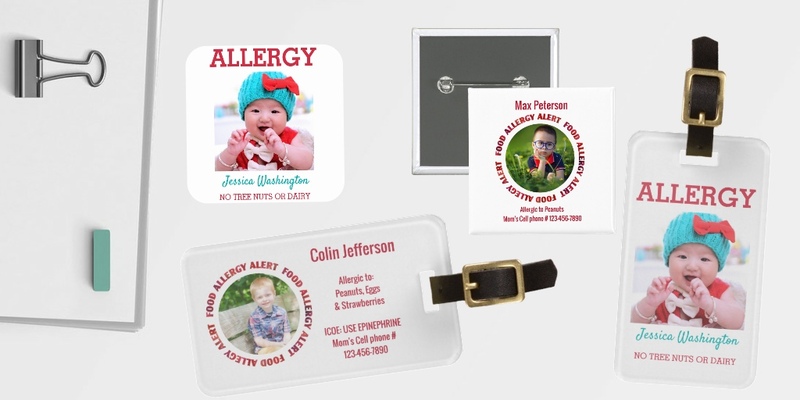 We are excited to offer our products as part of the Zazzle Community. 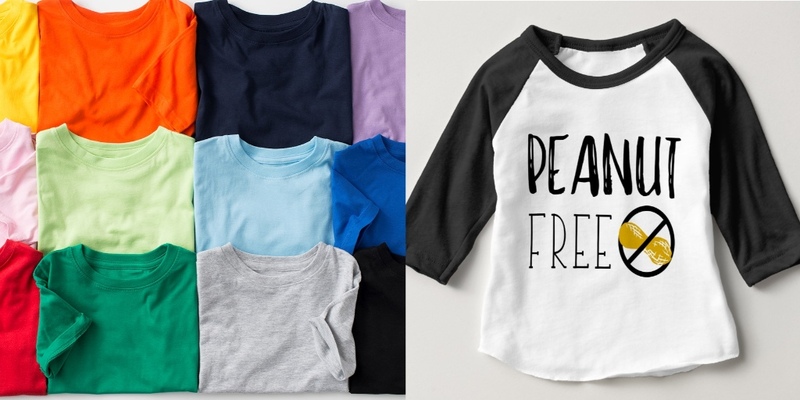 Zazzle ships WORLDWIDE and offer a 100% back guarantee.